Home Business Bootcamp and Affiliate Marketing Training with George Kosch for 15 June 2018.
Review: Worldprofit's Affiliate Marketing Training with George Kosch presented LIVE Friday Jun 15th, 2018. Bootcamp Instructor George Kosch got right down to business in the training session with a focus on the LIFEBLOOD of your business - PROMOTION. This weekly training is all about YOU! Questions are encouraged at any time during the training. Make the training most meaningful to you by being an active participant, request demonstrations, ask question for instant answers. You will not get HYPE in Worldprofit's training only HELP. How you earn with Worldprofit and how we pay your sales commissions. Update your settings in your Worldprofit Member area to indicate your commission payout preferences. Commissions are paid on the 15th or, if you like, you can apply 100% commission toward your membership cost, or purchase of advertising services. Review your commissions using the MONTHLY Commission Reports. Review the Commission Chart to see which services you earn commission and how much. 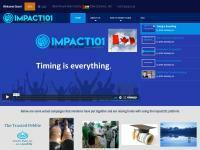 How to access the self-paced online bootcamp lessons, most have demonstration videos. The online lessons are complimented by the LIVE interactive weekly bootcamp training broadcast via webcast. Lesson 3 - why it is the MOST important lesson of all 125 lessons. If you haven't progressed to Lesson 3 and watched the video, we urge you to do so right away so you don't miss out on valuable traffic bonuses. If you aren't getting the sales numbers you want, REVIEW LESSON 3 video again to make sure you are promoting the RIGHT way, doing what you need to do to get clicks and sales conversions. What to do and how to do it. Why to do it. George provided a step by step demonstration of how to sign up for and promote to a safelist. George demonstrated his 3 favourite tools to use when promoting that will SAVE HUGE amounts of time so you can promote MORE OFTEN, FASTER and in LESS TIME! 3. Worldprofit's NEW LIVE Business Center progress continues. A lot of time and effort is going into the eventual replacement of our old flash-based LIVE Business Center which served us so well for over 12 years. Our initial testing phase has been a success, we continue to work on it to improve functions and features. We have reverted for now to the original Live Business Center to avoid interruptions of services during development and back end testing. -> Next LIVE Home business and affiliate marketing training with George Kosch is Friday June 22nd, 2018 - 8 AM CT / 9 AM ET. Sandi Hunter: Thank you to our Monitors! J Thomas: If I have AWeber, is it compatible with WP? Bobbi Jo: Yes it is a time saver. Charity: Thanks George & Sandi!!!! Thomas: is there anything that is a betTer value than buying prospects to make my business here grow?